The 2012 Portland mayoral candidate talks next steps after leaving tour company Know Your City. 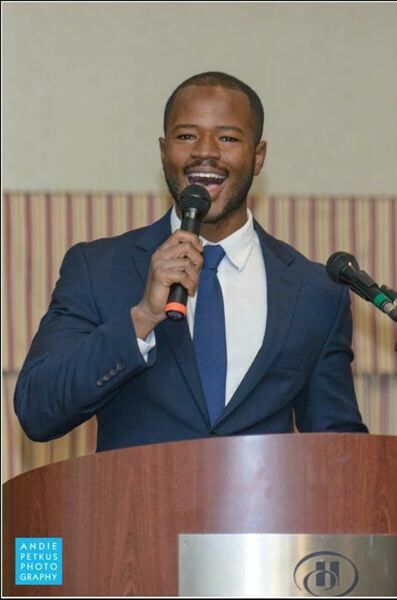 Cameron Whitten made national news in May after hosting a "Reparations Happy Hour" that paid out $10 to each person of color who attended. But it was only the latest in a series of headlines for the 2012 mayoral candidate, Occupy Portland protester, hunger strike leader and former president of the walking tour company Know Your City. Now, the prominent 27-year-old activist is ready for his next gig as executive director of the Q Center, an LGBTQ+ community space in North Portland. Here's what Whitten has to say about the issues facing our city. TRIBUNE: Tell us about the Q Center's support for homeless youth. WHITTEN: That's a big demographic change for the Q Center. When it was first founded, it had this perception of being a club for gay white men. The reality is that the folks who use our space are the folks who are seeing the biggest need (and) who have intersecting identities, including race, gender and class. It's a community that we are advocating for, powerfully, because they have been left behind and their voices have been ignored. TRIBUNE: Gay Americans have won historic victories. Does that mean the battle is over? WHITTEN: We need to dispel the myth that we are past advocating for LGBTQ+ equality. We are seeing increased attacks against transgender communities, and queer and trans people of color. The rate of violent discrimination against these communities has barely budged in the last 15 years, so we know our work is not over until every single person has a safe space. TRIBUNE: What priorities will you bring to the attention of city leaders? WHITTEN: As the media likes to say, we do need a gay agenda. We need to remember that LGBTQ+ are a marginalized population, and we need to have a conversation about how to end discrimination and end the disparity in outcomes. More support for LGBTQ+ housing and trans-specific housing is extremely important. TRIBUNE: You left the city-run East Portland Action Plan after four months overseeing grants. What happened? WHITTEN: I was terminated during my probationary period. In my opinion, the city has a lot to address in its anti-blackness and retaliating against black employees. Unfortunately, I felt like I became another statistic. TRIBUNE: Any thoughts on the election of Commissioner Jo Ann Hardesty? WHITTEN: That is a huge deal. I think we are all entering into 2019 with a new sense of curiosity, and a hope for a change in our political narrative. City politics has always been seen as being run by a small elitist group (but) as we continue to broaden the perspectives of who is on City Council, that should really mean different priorities. TRIBUNE: It sounds like you have high hopes for Hardesty. WHITTEN: We can't tokenize people. As community members, it's up to us to hold our elected officials accountable, because that's the only thing that makes change happen. I have the same standard for Jo Ann Hardesty as I have for all other elected officials, and I hope she is successful with everything she's promised. TRIBUNE: Should Portlanders expect to see your name on the ballot ever again? WHITTEN: Honestly, I like to keep that a mystery. I would definitely say my life is political. I am currently in love with the work I'm doing here. I'm learning a lot about this community… and what it means to be effective. One day that might mean running for office, but I've learned to admire a long list of people who are community leaders who are not in office. Located in a 6,500-square-foot single-story building at 4115 N. Mississippi Ave., the Q Center is visited more than 20,000 times a year, according to Cameron Whitten, the center's newest executive director. Services include 35 different peer-to-peer support groups covering issues like advocacy, mental health, addiction, depression, socialization and more. 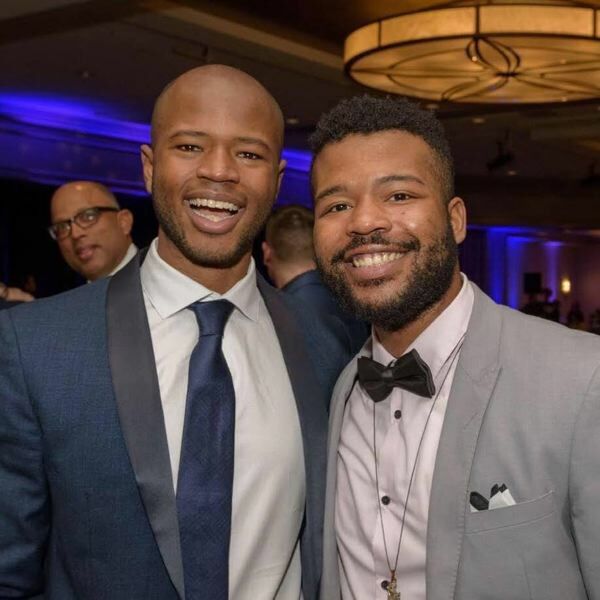 The center, which was founded in 2006, also hosts four other LGBTQ+ organizations, which target specific populations like queer youth, bisexuals, the African-American community and prisoners. Whitten says he's excited to welcome the community at large to the center's Rainbow Night Market, sponsored by eBay, which will be held on May 18.